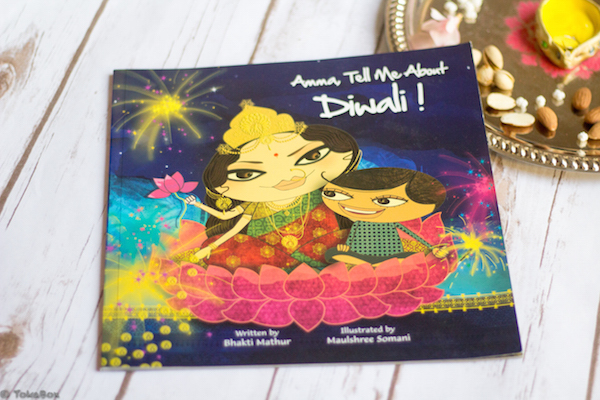 Amma tells little Klaka a magical story about Diwali. This book attributes the origins of Diwali to return of Rama after His victory over Ravana completing his 14 years of exile.The Ramayana is told in couplet form and is a good introduction to the epic. It also has a lovely story of Lakshmi, the goddess of wealth, love, prosperity, fortune and beauty.